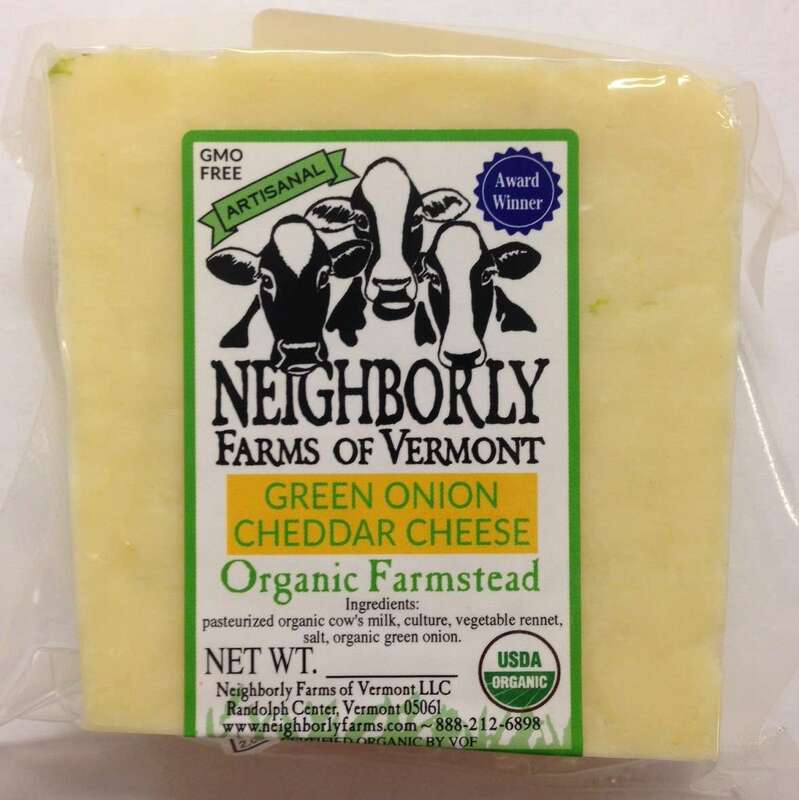 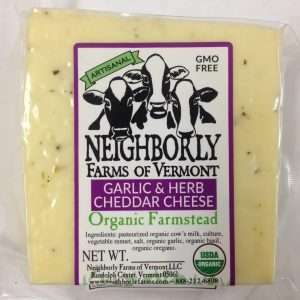 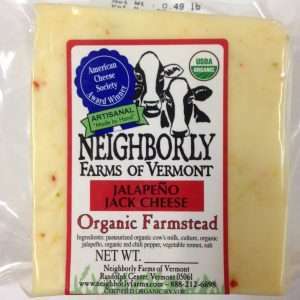 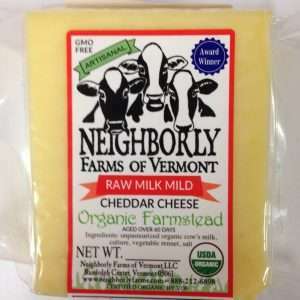 Pure cheddar with the sunny taste of fresh organic green onions – light and delicious! 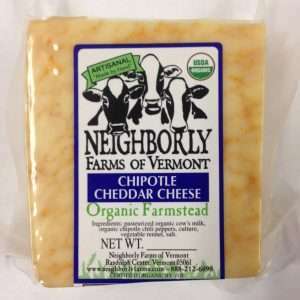 With bright flecks of green swirled in creamy white, this cheese looks as good as it tastes. Our Green Onion Cheddar is so good the crackers get left behind. 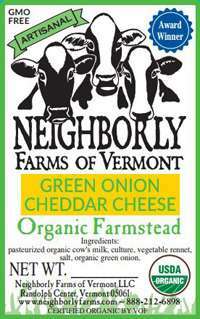 We use only fresh certified organic green onions, locally produced when available.